It recently came to light that the NSA snooped on the communications of Google and Yahoo users without ever breaking into a data center. Now, the New York Times is reporting, it appears that could be because it penetrated fiber optic cables. The Internet companies' data centers are locked down with full-time security and state-of-the-art surveillance, including heat sensors and iris scanners. But between the data centers information was unencrypted and an easier target for government intercept efforts, according to three people with knowledge of Google's and Yahoo's systems who spoke on the condition of anonymity. 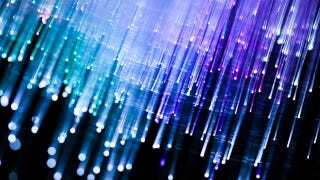 In fact, the Times points specifically to Level 3 Communications—"the world's largest so-called Internet backbone provider"—which looks after the cables used by Yahoo and Google. No surprise, then, that both have now started encrypting data that runs on cables between its data centers.